Until now Calgary high school aged players who wanted to attend a baseball academy had to go out of town and make arrangements to spend the school year in places such as Vauxhall or Edmonton. But now there will be an option for Calgarians who want a quality baseball program during the school year without having to leave home. Pro Baseball Force (PBF) has announced an academy program which will start its inaugural season in September of 2011. Unlike the other baseball academies in the Province, this one will not be tied to a high school, with all the training being after school and on weekends. PBF was originally founded in 2001 primarily to instruct at the top local baseball camps and clinics. 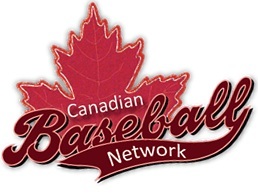 In 2007, they expanded to include fall and winter travel teams, which have played all around Western Canada, and in places such as Las Vegas, California and Arizona. Almost all graduating players have gone on to play college baseball, including one who has been drafted by the MLB. This academy will now give young athletes further exposure and preparation for college baseball. “I believe our instructional staff is the best in the country at the high school level” said Jim Lawson, founder and President of PBF. “Players will be exposed to professional scouts and Team Canada coaches while utilizing the best training facilities in Calgary”, he added. Jim Lawson’s background includes playing for Team Canada and being drafted in the 10th round by the Oakland A’s, pitching in their organization for 3 years. He also founded and was a key player for the Calgary Redbirds Senior Men’s Team which has represented Alberta at 2 recent national championships. Further information on the academy can be found at www.probaseballforce.net.